Is it to be Silent Ilumination or Huatou Method? "Master Hsu yun has said that the practice of zazen, either as Silent Illumination or in a koan or hua-tou investigation, is to illuminate the mind so that we can see our ‘true nature’. This ‘true nature’ or ‘Buddha nature’ is Emptiness experienced – not a void without objects, nor lacking anything, but rather the basis of sentient being – ‘emptied’ of words. Experiencing and eventually understanding this and applying such understanding in life is the purpose of the Dharma. In practicing Silent illumination, Shifu (Master Sheng Yen) always stressed the calming of the mind to reach a one-pointed awareness of the totality of a body’s experiencing (Total Body Awareness). Once achieved, this awareness may be widened to admit sensory impressions. 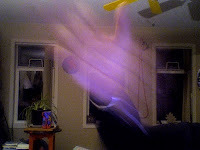 Once this is stabilized, changes in experience may appear spontaneously. These may include a loss of a sense of time, a widened awareness of space and later possibly bliss, gratitude, and a disinterested love of being itself. These shifts in feeling lead into a quiet tranquility. 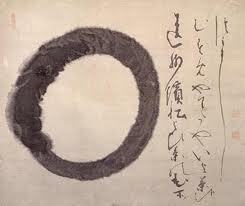 The Japanese call these experiences makyo, illusions, since untrained persons may mistakenly think they are enlightened. I call this condition ‘Self at Ease’. The feeling of being a normal self remains present during these shifts in awareness. It is clearly ‘me’ that is having them. The hua-tou method may be either intense or relatively relaxed. The concentration takes the form of an obsessive enquiry, known as the ‘great doubt’, into such brief paradoxes as “What is the sound of one hand clapping?” or ‘What is next?‘ At some point, during either Silent Illumination or hua-tou work, some stimulus, usually quite small and either of an inner or outer nature, may trigger a sudden change. This change comes ‘from its own side’ without any self-involvement, wishing or desire and the continuing presence of ‘me’ is disrupted. It is as if at the centre of awareness there is a mirror where the ‘I’ had been and in which all impressions are reflected without any comment from the mirror itself. Shifu calls this experience ‘self forgotten’. While the intensity of the experience may be suppressing the normal awareness of self, it remains possible that the egoic component of self changes in form to a bright witnessing with a mirror-like quality lacking self-reference. Really famous Zen Masters, or "Watch it, whether you answer correctly or incorrectly to Zen master's question, you still get 30 whacks from the incense stick. Ouch!!! Which famous Japanese Zen master devised 'What is the sound of one hand clapping? Hakuin believed he could do much better than the traditional Chinese huatou, 'what is wu' with this new huatuo. 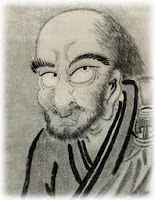 Though Hakouin (1686-1768) visited many Soto temples and frequently quoted the 13th century Soto Master Dogen, he despised the technique. "In recent times, however, the Zen schools have been engaging in the practice of "Silent Illumination" doing nothing but sitting lifelessly like wooden blocks. What, aside from that, do you suppose they consider their most urgent concern?....Consuming lots of good rice. Passing day after day in a state of seated sleep." from Wild Ivy, The Spiritual Autobiography of Zen Master Hakuin, by Norman Waddell. Hakuin was a prolific painter, calligraphist, and writer. There will be a class this Thursday evening.